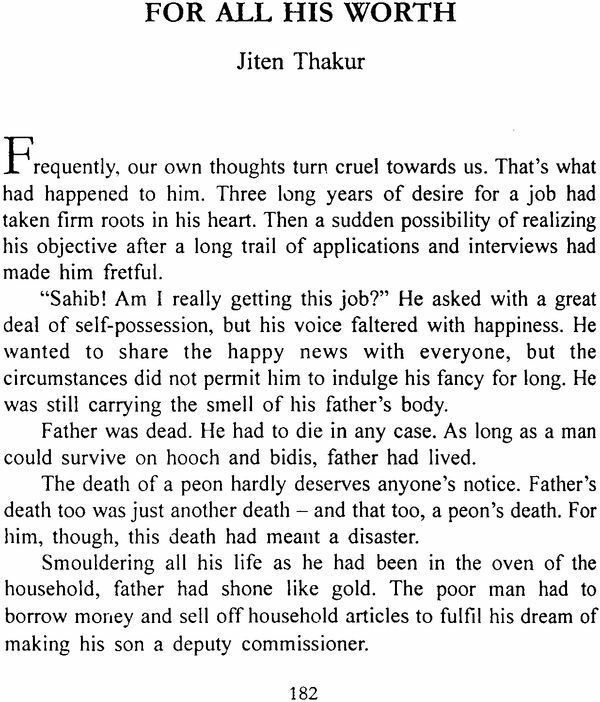 Dogri Short Stories Today: Like any other short fiction in Indic languages today, the Dogri short story too attempts to scan the absurdities of life. There is the horror of a midnight knock in the terror-infested (Midnight's Knock at the Door by Manoj), the tragicomedy of an elderly man who fails to recall at the station where he wants to go (Memory by Chhatrapal) and the compulsion of a mother to let her mentally challenged son die untreated because the poor fellow is unable to cope with life's harsh realities (A Mother's Compassion by Shakuntala Birpuri). Other stories like Shiv Mehta's The Border, O.P. Sharma Vidyarthi's The Red-Throated Sparrow and Chaman Panthi's A Noose Undone bring to the e reader the bitter-sweet-tangy flavour of the Dogra life. Dogri Short Stories Todays is a creditable attempt by noted Dogri author Lalit Mangotra to put together some of the best in the contemporary short fiction in that language. Lalit Mangotra retired from the University of Jammu after a fruitful career in teaching and research. An acclaimed short story writer, poet, dramatist, critic and essayint, has to credit two collections of Dogri short stories. Lalit Mangotra has received the awards for Book from the J&K State Academy twice for collection of short stories Zameen and essays Cheten Diyan Galiyan which received the Sagitya Akasemi Award in 2011. He is also a recipient of the prestigious State Government award, 2009, for his contributions to the advancement of literature culture. Suman K Sharma is a writer, translation and columnist and has several books to his credit, including two novels, Vagabond (English) and Badalte Padaav (Hindi). Among his major translation major translation works from Dogri to English are a collection of folk tales, Tales from the Tawi, Shailender Singh's novel Hashiye Parand a collection of Dogri stories. The milieu immediately preceding 1947 was that of the auspicious cracking of the dawn of freedom in India. In the grey horizon of slavery, the golden-saffron aurora of independence had begun to spread. The Indian masses displayed infinite enthusiasm for freedom that was to follow. With the onset of liberty, a dream was taking shape in everyone's mind – the dream of transforming society enervated by centuries of slavery, and establishing in its place a modern and healthy one. It was the dream of a society which had cast aside its deep rooted feeling of abasement, repugnant customs and superstitions bred over centuries of thraldom; a society in actualisation and meet their as aspirations to the full. We Indians experience a strong urge to highlight the positive aspects of our culture and civilisation and take pride in our heritage. Though no compilation of Dogri stories had been published prior to this one, Dogri speaking people could boast even then of a treasure trove of folktales. The custom of sharing folktales at home and in public squares was popular and children heard with great relish tales narrated by their grandmothers and other elders. Sathe's stories bridge gap between folktale and the modern short story. While fanciful plot and simplicity of language imparts to them a tinge of folklore, a realistic depiction of characters and their circumstances connect them with the modern craft of story-telling . In spite of their folkloric content – or rather because of it – these stories present to us an authentic picture of contemporary Dogra life. While paying a titrate to the heritage by giving his stories the colours of popular tales, the author draws attention to redundant customs and conventions prevailing in society at that point. 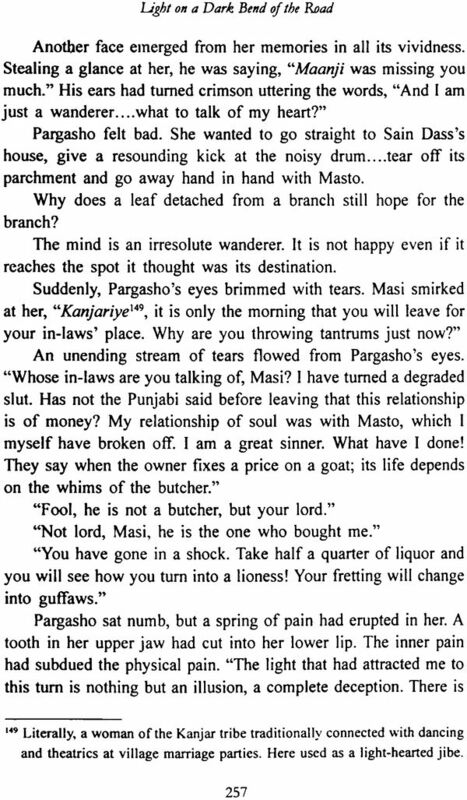 The protagonists of most of his stories are victims of the repugnant social customs – be it Kesro of "Kudme da Lamha", Jibe of "Daughters in-law", or the child widow Paro of "S' hara – The Support", or even Gyano, who falls prey to the custom of Dogri in the story with the same title. Besides, the author, through his adulatory depiction of unity and goodwill among different castes and creeds in rural society of the Dogras leaves a keen desire in readers' ,minds to strive together in order to build a prosperous India. 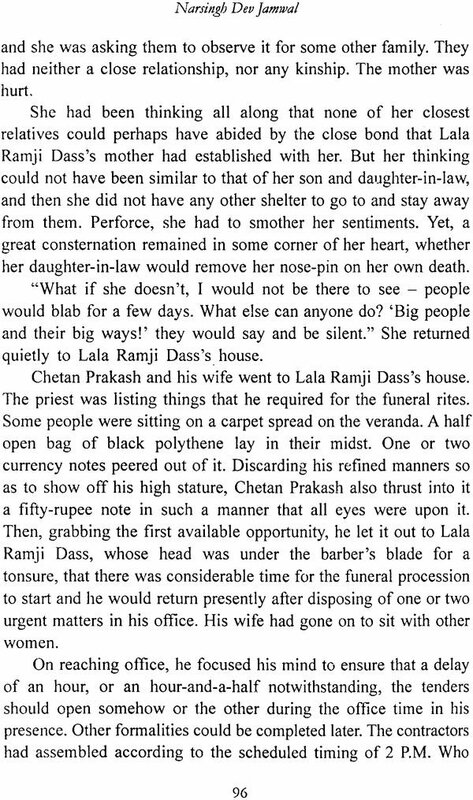 The year 1957 saw publication of another collection of Dogri short stories by Lalita Mehta under the title Sui Dhaga – Needle and Thread. These stories did have fantasy and folksy language of folktales, but fell short on the features that constitute the modern short story. An erroneous impression can perhaps be formed that nothing happened in the history of Dogri literature during the long gap of ten years between the publications of the two collections of short stories. The fact of the matter is that a talented and enthusiastic band of Dogri writers was busy writing stories during this period, though none of their works could see light of the day till then. Madan Mohan Sharma, Narendra Khajuria, Ved Rahi and Ram Kumar Abrol were the authors who actually took the Dogri story a step further. Their collections came out in 1959: Madan Mohan Sharma's Khirla Mahnu - The Last Man, Narendra Khajuria's Kolay diyan Leekran - Lines of Charcoal, Ved Rahi's Kale Hath- Black Hands and Ram Kumar Abrol's Pairen de Nishan - The Footprints. The 1950s was a decade when Indians bubbled with enthusiasm to build a new nation. Writers and intellectuals strove together to bring about positive changes in society. Communism and progressivism found a great following among the intelligentsia. Urdu and Hindi authors took these progressive ideas to the people through their writings. 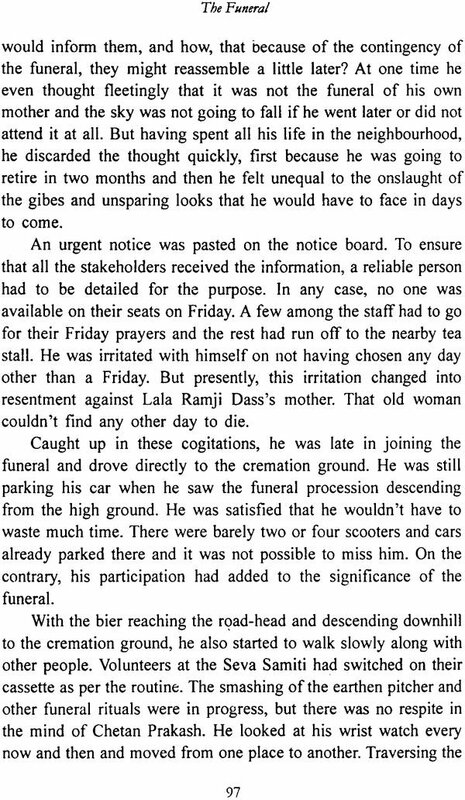 The short story too was made a tool of social reform. A sizeable proportion of stories in these languages dwelt upon social oppression and resistance to this national blight. Young Dogri writers were influenced by idealism and leftist ideas prevailing in the Hindi and Urdu short story, particularly the romanticism of the latter. That explains why most of the stories by these authors ring with progressivism, idealism and romanticism. In the stories of Ram Kumar Abrol's compilation Pairen de Nishan - The Footprints - we find that the tint of idealism and reformism has become a shade deeper than necessary, so that the short stories are a little cut off from realism. 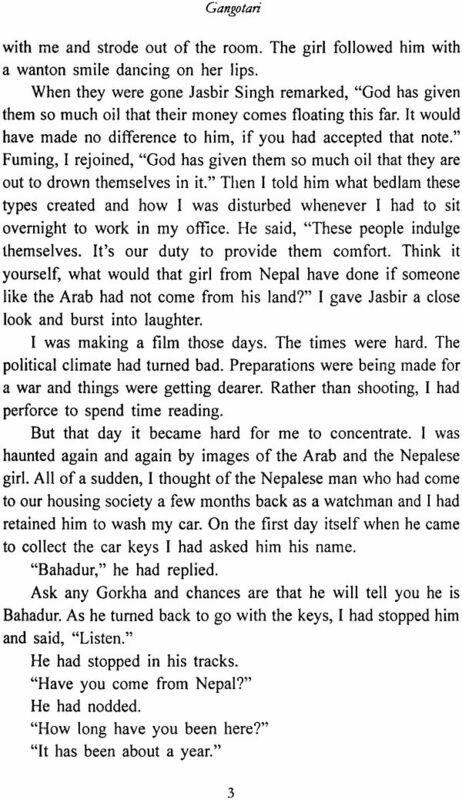 Madan Mohan Sharma's stories also tend to be idealistic, but closer to realism. Two characteristics mark his stories clearly: one, a few of these stories focus on certain unexplored aspects of life and two, most of the stories assay the thought-process of characters through psycho-analyses, which raise great possibilities. Eh Mard Bi - Such are Men - leaves a deep impression on the mind as a fine example of commingling of humour and deep insight. Stories in Ved Rahi's collection Kale Hath - Black Hands - are memorable because of the singularity of their subject matter. These stories are free from the weakness of empty idealism and sentimentalism. Rahi has the ability to probe deeply into the depths of human relations. Munnua da Kurta - Munnu's Shirt - is a touching story of a widow. Bhenu da Ghar - Sister's Home - is a powerful and incisive depiction of the changing mindset of the protagonist in an altered backdrop. 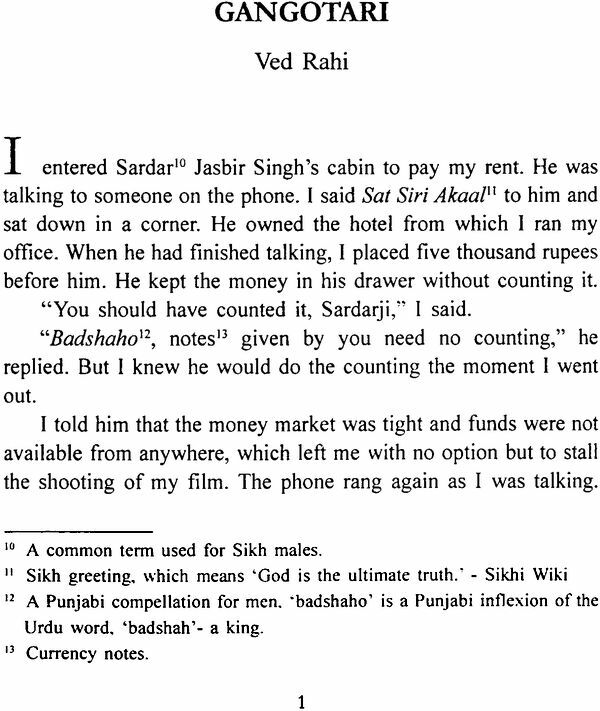 Indeed, Ved Rahi's stories brought to the Dogri story realism, humanism and psychology. In Narendra Khajuria's collection Kolay diyan Leekran, nearly all the stories vociferously raise a voice against the oppression of women and the rural poor. The author has a keen eye and a competent pen. The stories, written in uncluttered language, are uniformly absorbing and have won a special niche for themselves in Dogri fiction by virtue of their lively description of many facets of human condition. 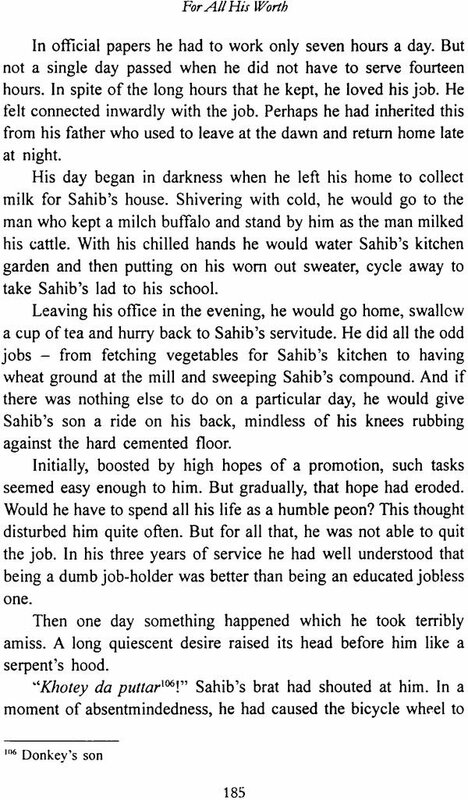 Graphic and accurate description of rural life is another special attribute of these stories. Dinvar - Funeral Rites - and Ki Phul Bani Gai Angare - Why Flowers turned into Embers - are two unparalleled works of Dogri literature. These stories contain a moving description of oppression of Dalits and the impoverished. 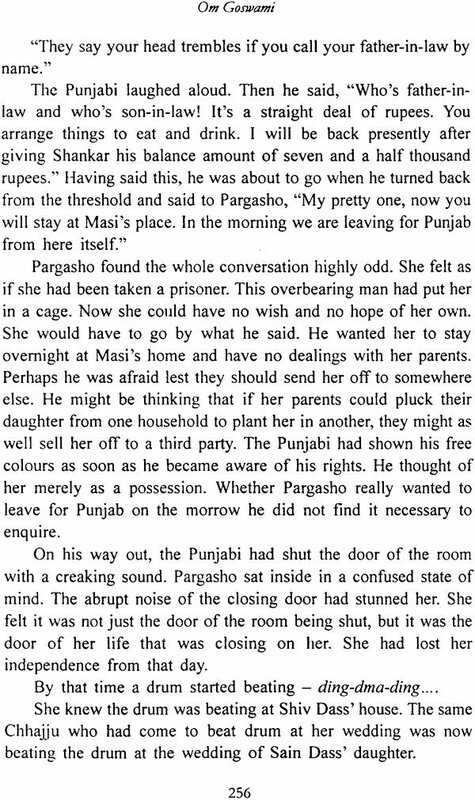 In this manner, the Dogri story was transformed during the 1950s. While most of the earlier stories had rather a tone of hyper- idealism and romance, the stories now began to connect with ground realities, taking up for their motifs - common man's concerns, oppression of women, as also the subtleties of human relations. 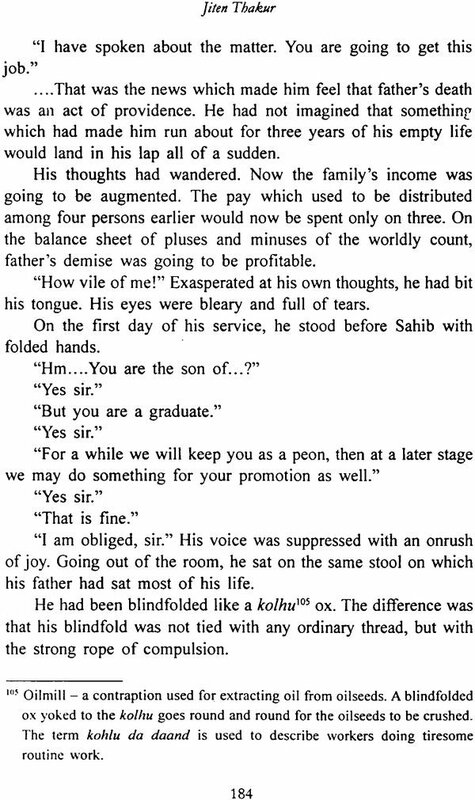 Signs of maturity and advancement of the Dogri short story were already there. The 1960s saw The Dogri short story flourishing. Along with solo-compilations of authors, three compilations of assorted stories were also published. Established authors were joined by new authors: prominent among them being Narsingh Dev Jamwal, Vats Vikal, Chanchal Sharma, Ram Nath Shastri, Bandhu Sharma and O.P. Shanna. 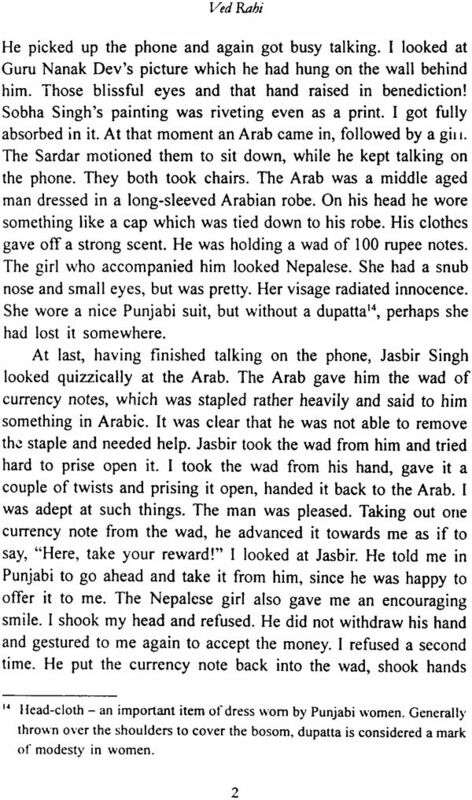 Consequently, the Dogri short story broke into new directions and new dimensions. The established authors also showed a steady development in their style. Two compilations of Madan Mohan Shanna, Chanani Raat - A Moonlit Night - and Taren di Lo - In the Starlight, were published respectively in 1960 and 1965. 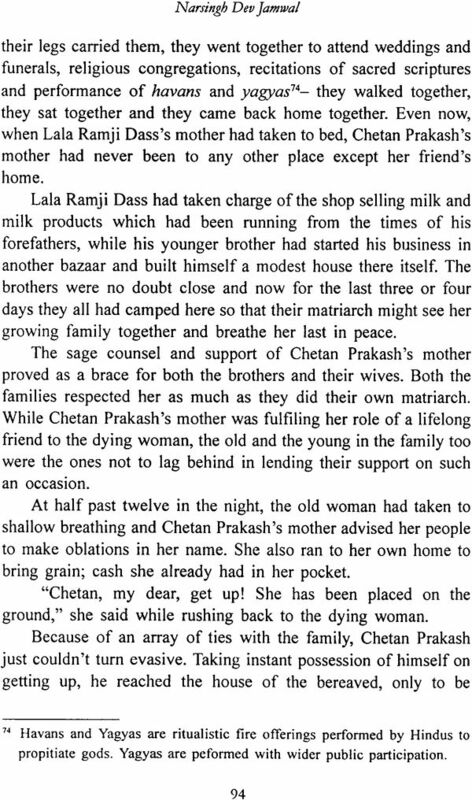 Most of the stories of Chanani Raat have, as in the author's earlier works, an idealistic tone. The story lines do not gel adequately with reality; nonetheless, the story Char Buddhe, Char Pariyan - Four Oldies and Four Fairies - is a successful attempt to blend humour with psychology. 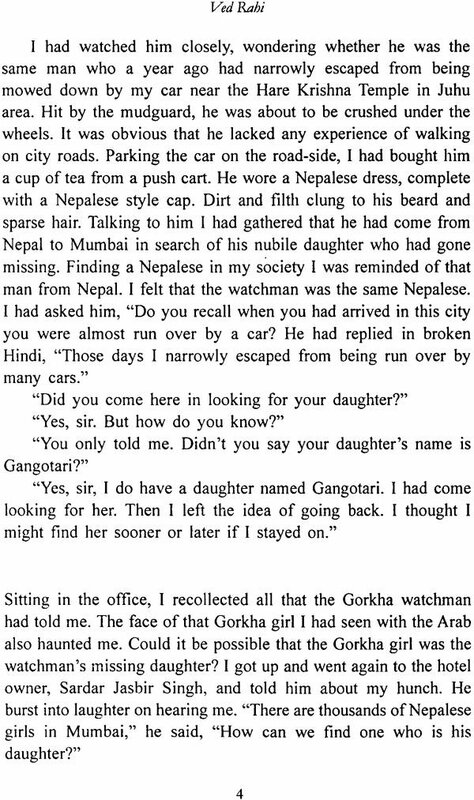 The collection Taren di Lo is indeed an indicator of Madan Mohan Sharma's development as a story writer. The stories in this collection present a psychological portrayal of the rural and the urban societies. The pivotal characters in these stories are people caught up in unwanted situations: the mother of an unwanted child, an officer accepting a bribe for the first time in his career, a woman confined to bed because of an incurable disease and so on. Nandi Shah di Billy - Nandi Shah's Cat, Sippy Begar Moti - A Shell without Pearl - and Ranee - The Queen - have a special place in Dogri literature. The collections of D.C. Prashant and Ram Kumar Abrol, Uchchiyan Dhaaran - The Lofty Mountains - and Ki Phul Bani Gai Angare - were published in 1961 and 1963 respectively. 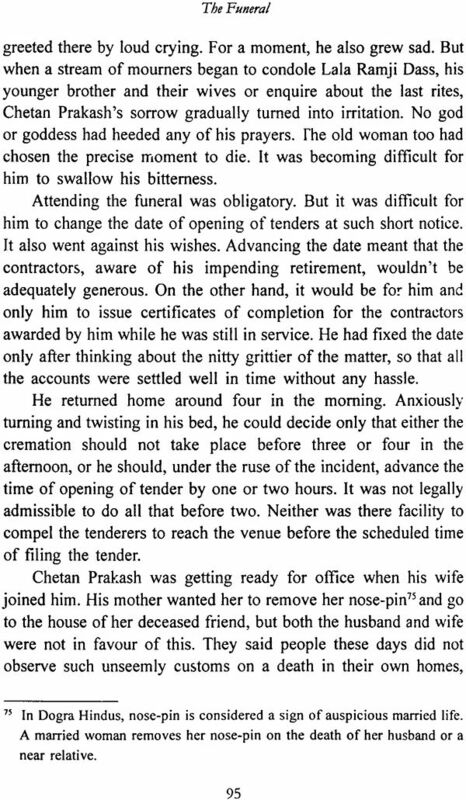 D.C. Prashant was the first author to imbibe Dogri literature stories with historical and romantic backgrounds, of which Nurjehan da Makadma - Nurjehan' Trial- and Khirli Bal- The Last Oblation - are very interesting. Ram Kumar Abrol spins his stories round sentimentalism and coincidences of excessive idealism. In the year 1966 Narsingh Dev Jamwal's collection Dhukhde Gotey - Smouldering Embers was published. Though realistic to a large extent, these stories often fall prey to sentimentalism. The story Jamdar deserves a special mention because of its psychological description of the thought process of a man whose character is akin to that of Lord Yama - The God of Death. 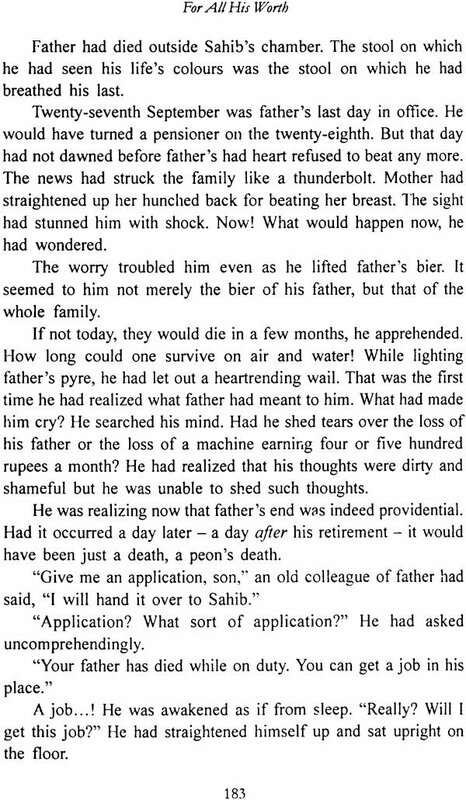 The publication in 1967 of Narendra Khajuria's collection of stories Nila Ambar Kaley Baddal - The Azure Sky and The Dark Clouds - was a significant moment in Dogri story-writing. Not only did this compilation enrich Dogri literature but it also sowed new seeds to grow in future. The sensitive depiction of mental agony of an oppressed and helpless woman in Kastu da Kala Tittar - Kastu's Black Pheasant - stands out as an example by itself. 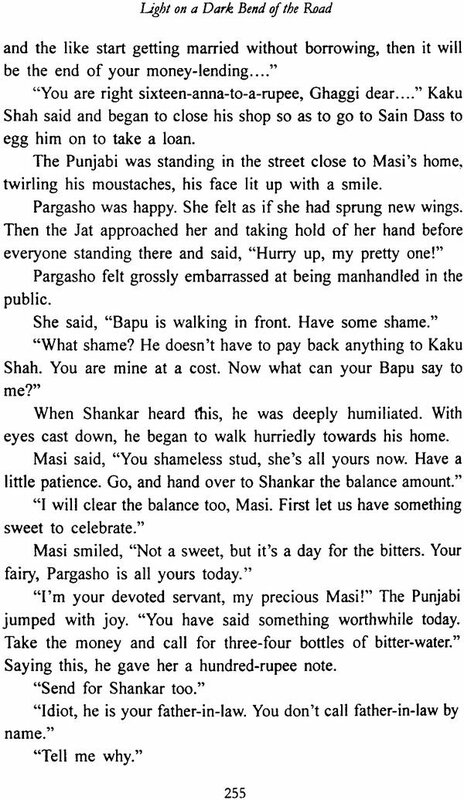 The story presents an authentic picture of the Dogra way of life. Ik Pattar Patjhar Da - An Autumn Leaf, Ik Samhaal - A Keepsake, and Apna Apna Dharm - To Each One His Creed - are fine examples of sensitive depiction of human relations and unparalleled craft of story-telling. Yog Khandat - The Fallen Yogi - is a commendable attempt at humour. Bhagwat Prasad Sathe's collection Khali God - A Vacant Lap - was published in 1970. The stories of this collection read like a step ahead of the stories of his first compilation, Pehla Phull. A distinctive feature of Sathe's stories is that they do not follow any established style or technique. Each story has its own distinctive colour. Some of them are in traditional story-telling mode, some are symbolic and yet some others relate to psychological issues. Panj Taren da Phull - A Flower of Five Stars - through use of artifice of children's game-playing, becomes a biting satire on the shortcomings of our society. Fafaanu - The Mushroom - is a successful story based on symbolism. Yattra - The Journey - is a story about a mental aspect which is there for all to see, but defies comprehension.